This page is dedicated to the people who make it all possible - YOU - our valued clients! Thank you for your support and for enjoying our products, you make us LOVE what we do even more AND make us want to do it even better. Want to be on this page too? It's easy, get clicking and send us a photo or two of you enjoying your KSC Braai Products and we'll make sure it gets posted. The Ellis family getting ready for a groot braai at kambati! Little Divan van Tonder taking over the reigns from Dad! New Years in Finland, what a way to break in your KSC Braai! Mr Anslin April supporting the Elsies River RFC at their club. Aldo Serrotti cooking up at storm at Beaverlac. 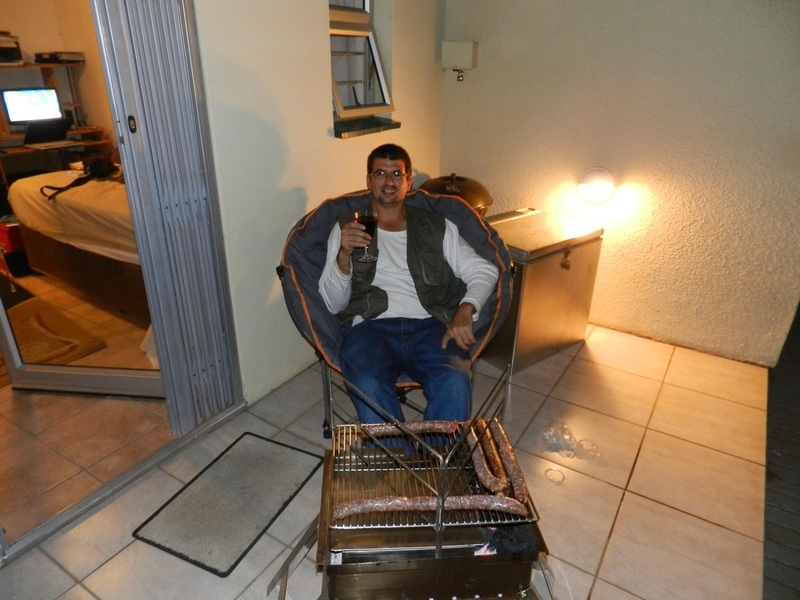 Rudi van den Berg of Secunda showing off his new KSC Braai Set. Marie Fourie showing an innovative way to defrost lasagne. West Coast Buffet with the Therons, absolutely mouthwatering! The besters of Malmesbury enjoying a braai in the Atlantis Dunes!